Terry W. Bird Attorney Profile | Bird, Marella, Boxer, Wolpert, Nessim, Drooks, Lincenberg & Rhow, P.C. Terry Bird has been litigating, trying and winning complicated civil and white collar criminal cases for more than 40 years. He started his trial experience as a federal prosecutor in the Los Angeles U.S. Attorney’s Office. Before that, he clerked for Justices Lynn “Buck” Compton and Robert Thompson at the California Court of Appeal. His extensive and successful trial experience in commercial business litigation and white collar criminal prosecutions has been recognized by his election to the American College of Trial Lawyers and his selection as one of the top 100 lawyers in Southern California. As a civil litigator, Terry has represented some of the largest corporations in the country, as well as their top executives. He has litigated for and against some of the largest Fortune 500 corporations. He has represented municipalities like Santa Monica and Hermosa Beach in high stakes litigation with oil companies. His civil practice centers on the defense of all forms of commercial litigation and class actions including contract, fraud, RICO, employment, unfair competition, shareholder derivative suits, false claim act violations, and breach of warranty matters. As a white collar defense attorney, Terry has concentrated in securities, mail fraud, tax, customs, and government fraud cases. His clients have included executives at internet, telecommunications and power and energy companies, as well as key participants in IPO securities investigations. Recently he successfully secured a dismissal of all charges brought against a former Executive of a large Chinese agri-business conglomerate by the Department of Justice in a major trade secret prosecution. Terry has headed several corporate internal investigations to aid prominent companies (Broadcom, Yahoo) and/or their boards of directors in the exercise of their fiduciary duties to their shareholders. Throughout his career, Terry has maintained a close relationship with the courts and judiciary. He served on President George W. Bush’s Judicial Advisory Committee and as such was one of six lawyers responsible for selecting candidates for the Central District of California’s federal bench and its United States Attorney. 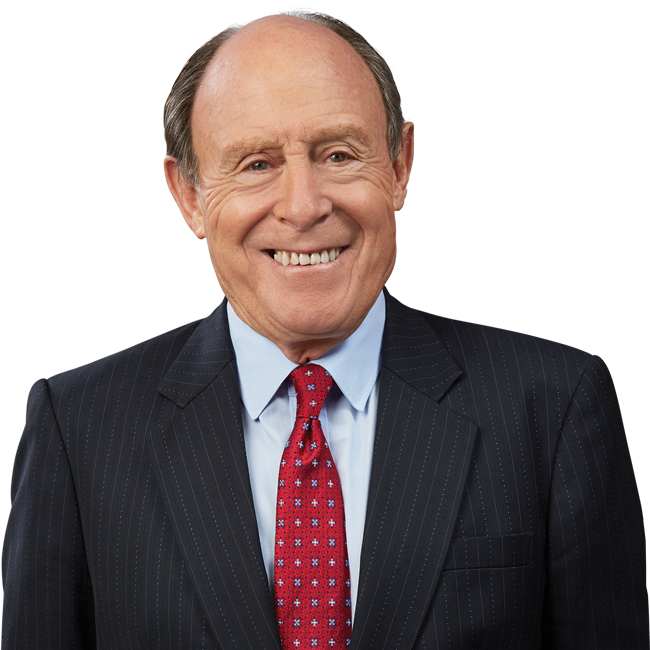 He has twice served as Chairman of the Central District of California Lawyer Representatives to the Ninth Circuit Judicial Conference and once as Chairman of the Lawyer Representatives Coordinating Committee for the entire Circuit. He served as one of 10 lawyers on the Ninth Circuit Advisory Board and then served as Chair of the Advisory Board. Represented the Special Litigation Committee of Broadcom Corporation’s Board of Directors for investigation and litigation of derivative claims related to allegations of back-dated stock options. Represented Western Digital Corporation in successful trial defense of securities and contract claims. Represented CFOs of Qwest International, Homestore, Inc. and New Century Financial Corp. in civil litigation, SEC, and U.S. Attorney’s Office investigations. Represented the City of Hermosa Beach in a breach of lease and contract litigation involving claims for more than $700 million in damages. Represented Canon USA and Nokia, Inc. in separate unrelated class actions, each of which involved claims of defective products. Represented Purex Corporation at trial in coverage litigation involving environmental claims. Represented City of Santa Monica in a successful resolution of litigation with petroleum companies. Author, “Budget Cuts, ADR Could Undermine State’s Judicial System,” Daily Journal, October 13, 2004. Author: “Shooting Holes in the Shell Game with Expert Testimony,” Association of Business Trial Lawyers Report, Vol. 16, No. 2, February 1994.